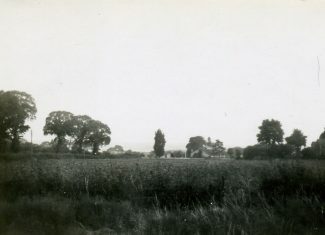 In the early 1930s Castle Lane was lined with large elm trees, a haven for birds including many jackdaws. 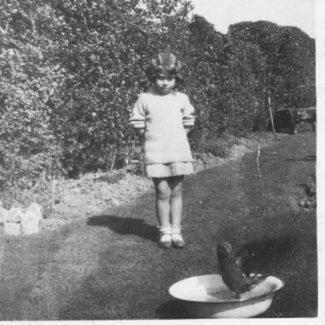 One spring morning, my sister ­­Erica and I found a young jackdaw with a damaged wing, I carefully picked it up and took it home [No 72 Castle Road West] where our father built a large cage for it to recover in and where we fed it on grubs, worms and corn. After a while it recovered and could fly around the cage so we decided to release it back to the wild, but to our amazement it stayed in the garden and became very friendly, it used to follow us around the garden, and at times follow us up Castle Lane. He loved to have a bath in a bowl of water. A couple of springs later it flew back to the elm trees and started courting, and that was the last we saw of our pet, Jack as we called it. Ed. Click on photos to see them at their original size.